If You Don't Know Your Jewels Know Your Jeweler! John Anthony Jewelers' goal is to serve the public confidently, honestly, confidentially and efficiently. Our staff works to educate each customer thoroughly about the facts concerning the items purchased. We concentrate on the customer who wants the best in gems and workmanship. The same individual courtesy is extended to our clientele whether the purchase is large or small. John Anthony Jewelers inventories Diamonds with GIA Gem Trade Labortory Reports. We also stock gem quality Sapphires, Rubies, Emeralds, Opals, Pearls, Jade, Tourmaline, Topaz and other desirable jewels. If a certain gem is not in our large inventory, our diamond cutters and importers can supply them promptly. As a result of the many estate settlements we have purchased since 1946, John Anthony Jewelers has an extensive collection of antique and estate jewelry. 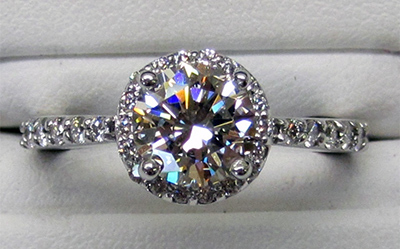 We handle "only the best" of fine jewelry. 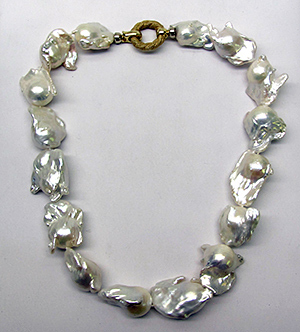 We do not carry costume jewelry, watches, china, crystal, or gift items other than fine jewelry. Website Design and Development PDG.